Here is why – in honor of February as National Children’s Dental Health Month – it’s imperative to get your child off to a good start with pediatric dental care. In a child’s mouth, a cavity can form in as little as six months. Because baby teeth are much softer and thinner than permanent teeth, an untreated cavity can quickly reach the tooth’s nerve causing more damage. If a child loses a baby tooth to cavity or decay, potential issues could include speech impediments, loss of space for permanent teeth and malformation of bite that could shift the shape of the entire jaw and face. According to the Centers for Disease Control and Prevention, tooth decay is one of the most common, yet preventable diseases in children. 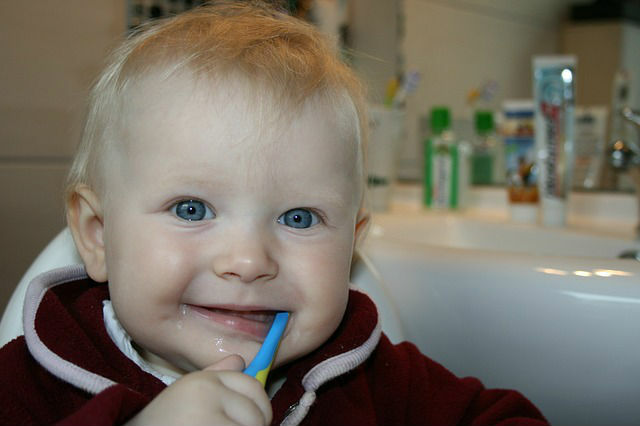 Of children 2– to 5-years old, 28 percent have already had decay in their baby teeth. To protect your child’s smile, it’s imperative to schedule dental visits every six months, especially for baby teeth. Consider this: If your child doesn’t take care of his/her teeth as early as three years old, it could affect heart health over the long term. According to the American Heart Association, the plaque that builds up on teeth and gums can be directly linked to heart disease, diabetes and dementia. While scientists are still trying to determine the exact cause, the bottom line is to make sure your child sees a pediatric dentist to ensure his/her teeth and gums are cleaned and examined every six months. Studies have shown that flossing every day can increase life expectancy. Children should start flossing as soon as they have teeth next to each other. Ask your pediatric dentist to show you how to floss your child’s teeth. Flossing helps heart health by reducing bacteria in the mouth that can enter the bloodstream and trigger inflammation, which is a risk factor for heart attack and strokes. It takes education and instruction from an early age to get children conditioned to floss. 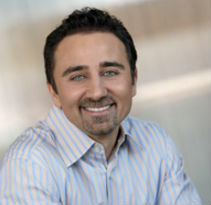 Dr. Michal F. Roizen states in his book “Real Age” that flossing can add six years to your life. Has your child flossed today? We want our children to be physically healthy and we want to ensure they are emotionally healthy, too. Children who are ashamed of their teeth often don’t show them, which means they don’t smile. You don’t want your child to be teased or bullied due to the appearance of their teeth, which can be easily fixed. Studies show that people who smile often are more likely to live happier, longer lives. Smiling makes us more attractive and it relieves stress and helps boost our immune system due to the endorphins, natural painkillers and serotonin that are released. When a child doesn’t like his/her smile, self-esteem suffers. Make sure your child has a smile that he/she wants to share with the world. A smile shows confidence that can help lead to personal and professional successes throughout life. Your child’s pediatric dentist can provide recommendations depending on the age of your child. Do you know the top three things people fear most? Death takes the number one spot, followed by public speaking at number two. Rounding out the top three is visiting the dentist. Many parents don’t realize that dental care has changed dramatically since they were kids, especially in a dental office designed for children. Remember the pain and suffering you anticipated when going to the dentist as a kid? Your children never have to know that feeling of dreading the dentist. Today’s pediatric dentists are trained to provide thorough and gentle dental care to children and establish early healthy habits that will last a lifetime. Dr. Kami Hoss is on the dental staff of Super Dentists, which has four locations across San Diego — Chula Vista, Eastlake, Carmel Valley and Oceanside — and a practice in Kearny Mesa opening this summer. For more information visit www.thesuperdentists.com.